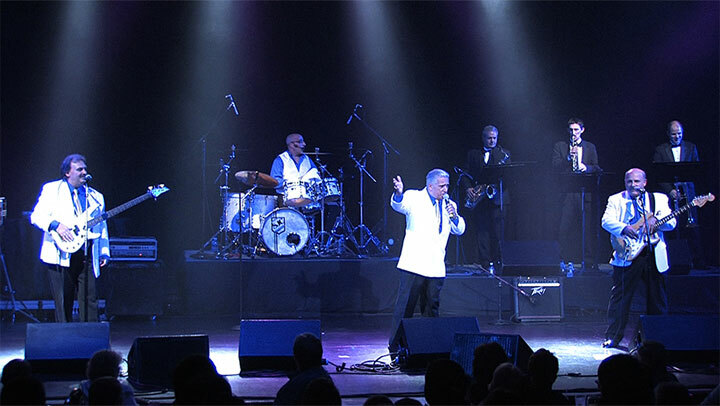 RAGDOLL is considered one of the best tribute groups on the circuit when it comes to Frankie Valli and The Four Seasons. With harmony's second to none and the falsello of the lead singer, Eddy Rezzonico, is a must to hear. EDDY REZZONICO has been in the music business for more than 30 years. He sang and traveled the country with Jay Siegel and the Tokens Of "The Lion Sleeoss Tonight" fame, for more than ten years. Eddy is persently with one of the greatest groups to come out of the 60's, known as THe Passions, who had several major hit records including "Just To Be With You". Eddy not only hails from Newark, New Jersey, the city of his idol, Frankie Valli, but shares the same youthful experiences from their Abington Ave. Elementary School. LENNY TERRY has been in the music business for more than 30 years and has shared the same stage with some of the biggest acts from 50's and 60's: The Drifters, The Coasters, Leslie Gore, and Lou Christie, to name a few. Lenny is the first tenor and base player for RAGDOLL, which is one of the reasons why the group sounds so good. FRANKLE LO'CARA is an original member of the fame group, "Sam The Sham And The Pharaohs". Frankie hit his gold with classies like, "Wooly Bully" and "Little Red Ridinghood", along with numerous hit albums. Frankie bring his well known music experience, his respected professional status in the music business, as well as being the 2nd tehor and sax player of the group. DAVE DEL BARO is the baritone and lead guitar player for RAGDOLL. His impeccable ear for harmony is part of the reason why the group sounds as close to the original songs as possible. Dave brings over 40years experience to the group. he currently plays guitear for THE PASSIONS, "Just To Be With You" fame, but RAGDOLL is his sole commitment. Watching Dave on stage will tell you as well as show you, that he handles all FOUR SEASONS song like a pro.